The gusting westerly winds that dominate the climate in central Asia, setting the pattern of dryness and location of central Asian deserts, have blown mostly unchanged for 42 million years.A University of Washington geologist led a team that has discovered a surprising resilience to one of the world's dominant weather systems. The finding could help long-term climate forecasts, since it suggests these winds are likely to persist through radical climate shifts. "So far, the most common way we had to reconstruct past wind patterns was using climate simulations, which are less accurate when you go far back in Earth's history," said Alexis Licht, a UW assistant professor of Earth and space sciences who is lead author of the paper published in August in Nature Communications. "Our study is one of the first to provide geological constraints on the wind patterns in deep time." Earlier studies of the Asian climate's history used rocks from the Loess Plateau in northwestern China to show dust accumulation began 25 million to 22 million years ago and increased over time, especially over the past 3 million years. 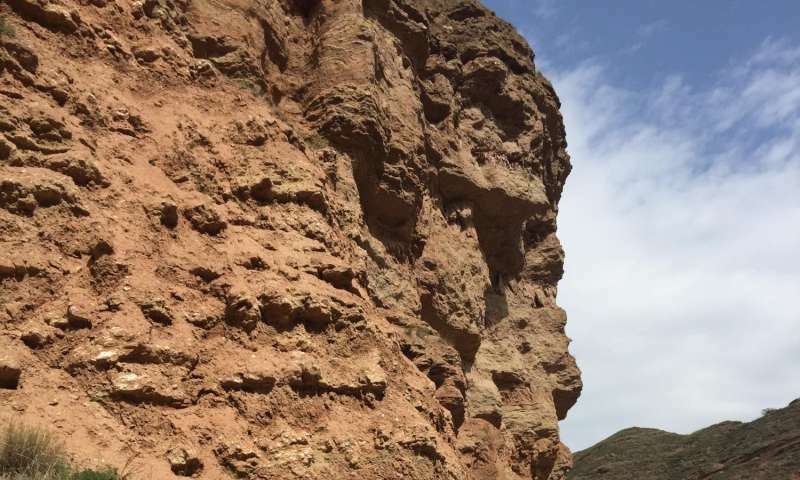 It had been believed that these rocks reflected the full history of central Asian deserts, linking them with the rise of the Tibetan Plateau and a planetwide cooling. But Licht led previous research at the University of Arizona using much older rocks, dating back more than 40 million years, from northeastern Tibet. Dust in those rocks confirmed the region already was already parched during the Eocene epoch. This upended previous beliefs that the region's climate at that time was more subtropical, with regional wind patterns brought more moisture from the tropics. "The origin of the dust hasn't changed for the last 42 million years," Licht said. During the Eocene, the Tibetan Plateau and Himalayan Mountains were much lower, temperatures were hot, new mammal species were rapidly emerging, and Earth's atmosphere contained three to four times more carbon dioxide than it does today. "Neither Tibetan uplift nor the decrease in atmospheric carbon dioxide concentration since the Eocene seem to have changed the atmospheric pattern in central Asia," Licht said. "Wind patterns are influenced by changes in the Earth's orbit over tens or hundreds of thousands of years, but over millions of years these wind patterns are very resilient." "If we want to have an idea of the Earth's climate in 100 or 200 years, the Eocene is one of the best analogs, because it's the last period when we had very high atmospheric carbon dioxide," Licht said. Results of the new study show that the wind's strength and direction are fairly constant over central Asia, so the amount of rain in these dry zones depends mostly on the amount of moisture in the air, which varies with carbon dioxide levels and air temperature. The authors conclude that winds will likely remain constant, but global warming could affect rainfall through changes in the air's moisture content. "Understanding the mechanism of those winds is a first step to understand what controls rainfall and drought in this very wide area," Licht said. "It also provides clues to how Asian circulation may change, since it suggests these westerly winds are a fundamental feature that have persisted for far longer than previously believed."